The first video was taken by engineers at Custom Performance Engineering showing what the stock Rear Motor Mount (RMM) looks like under load. This test was performed with an otherwise stock Ford Focus ST. While Sith Racing does not support or condone the purchase of one RMM over another, this video takes all of the visual angles and scientific approach to the problem and is a good visual tool to help begin to convince those that engine mounts (not just RMM) are critical to clean, consistent and sustainable power in your car. After watching that video, imagine what all of your connected components are doing while the engine is flailing around as you joy ride through the hills? Engine movement of that kind will severely cripple the integrity of charge pipes, pipe couplers, oil catch can connections to the intake manifold etc. When you are spending your hard earned money on something, why think of engine mount replacement as an afterthought? Another example is you spend all your money on a nice new turbo, down pipe, charge pipes etc. With this level of engine movement, imagine your down pipe cracking, charge pipes popping off, or vacuum lines coming loose. Now imagine you generate a boost leak that ultimately kills your turbo. Some of you may also be wondering why you should replace all 3 motor mounts an not simply replace the RMM, since that alone reduced overall engine movement to 1/4" from 5/8? Well, keep reading! With the video above you can see how the engine moves from the top of the engine bay. On the top passenger side of the motor is your Passenger Side Motor Mount (PSMM) which supports the passenger side of the motor. This factory mount allows the engine to move just as the RMM allows it to move. When you stiffen the RMM with an aftermarket replacement, you still have movement factors in the upper motor mounts that eventually will fail due to added stress transferred from the RMM replacement. In addition, the new RMM will be taking on a significant level of additional load since essentially it is forced to reduce engine movement without the assistance of the other two motor mounts. Over time, only replacing the RMM will lead to other critical component failures. 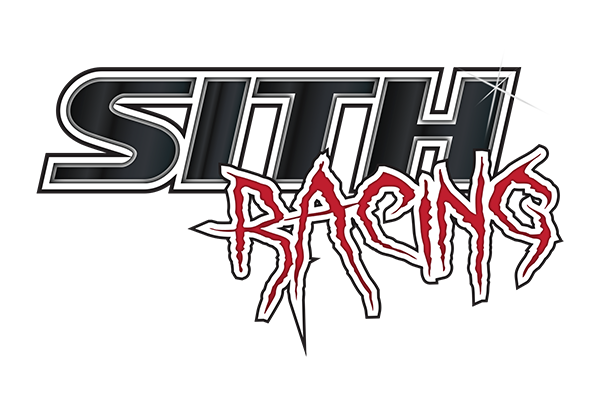 Team members at SITH Racing have experienced the aforementioned failures over time. As a real world example the RMM and RMM only was replaced on a 2013 Focus ST. Within 15,000 miles both the PSMM and the Transmission Side Motor Mount (TSMM) failed and required replacement. Again this was due to the added stress placed on them. Of an interesting note, even after replacing both upper mounts, the factory bushing located between the subframe RMM component and the lower transmission component failed and a full "stage 2" RMM was needed as a replacement. The factory RMM bushing failed due to the added stress displacement previously mentioned. Below is another video taken from the top of the engine while driving. From this angle you can see a different angle of the Passenger Side Motor Mount (PSMM) taking stress movement. While the intent of this video was not to review the mount, it is take at an angle worth showing you. So now that you should be throughly convinced that every power option from factory un-tuned to highly tuned needs engine stability or ancillary component failure (not just mounts) will occur. It is only a matter of time before other parts surrounding the motor fail as we have seen in time based testing here at SITH Racing. Below is a video showing a highly modified 2013 Ford Focus ST that has all 3 motor mounts replaced. Given the first two videos you reviewed in this article, there is a dramatic difference in the actuation of this motor. In the first video above you were able to see engine movement reduction from 5/8" to 1/4 by simply replacing the RMM. However, in our opinion, 1/4 inch of movement is still to much and can cause failure over time as we stated earlier. Please take a look at the video below. Feel free to jump to 1:20 in the video to see a full dyno pull while staring into the engine bay. As seen above, there is absolutely no movement of the engine at any time...not at acceleration or deceleration. The energy of the motor is transferred directly to the ground where it is needed the most. More importantly, the large investments made into all of the components connecting to the motor (fuel systems, turbo, down pipe, dump tubes, charge pipes etc.) are all safe from engine pitch causing critical components to be backed out of position or damaged due to close engine bay tolerances (less than an inch in some places). What we mean here is a larger turbo that sits between the firewall and the engine has even less room to move while the engine pitches than the factory OEM counterpart. The main fuel line feed is directly behind the turbo in the Ford Focus ST and I am sure people would not want a 1600 degree turbine housing brushing up against that fuel line!! In summary, please pay close attention to the motor mounts in your vehicle and when pricing a build plan, price these in up front. A word of caution - I you are looking to keep your car from vibrating which will anger the baby or the wife, I would not bother upgrading the power in this car either. Adding stiffer mounts means engine vibrations are transferred directly into the frame and body of the car. If you chose the right matching pairs and balance, then you can reduce this "rumble" greatly but be prepared for harsh vibrations under 1800 RPM. This entry was posted in Mechanical Reports, Primary Information, Technical Information and tagged Engine, Focus, Ford, JBR, Mounts, Review, ST, Steeda, test, TTR, Vibrations. Bookmark the permalink.